Are you worried about the classic hot smartphone problem? Into overclocking your pocket PC? 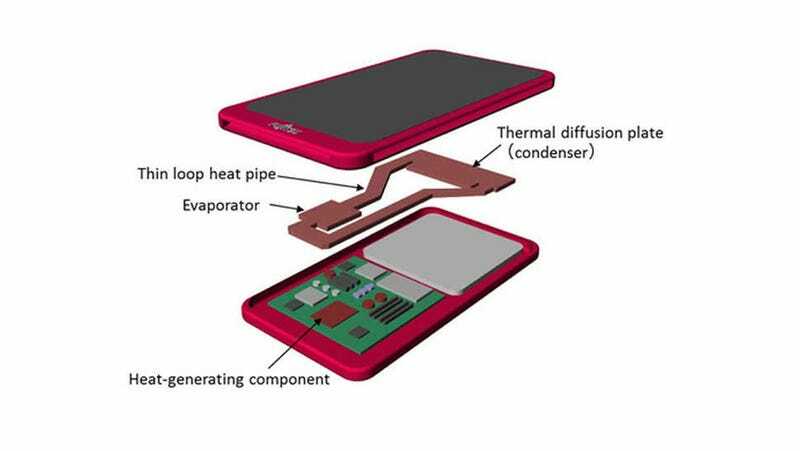 If you are, you'll be thrilled about Fujitsu's new technology for a liquid-cooled smartphone. It's a bit like putting your car's radiator into your phone—a cool idea even if you probably wouldn't need it. Sounds pretty cool! In theory this is supposed to improve your phone's performance without any additional drain on the battery power. The thing is, smartphones pretty much already perform preeeeeety well without overheating too bad, unless you're trying to do VR or something. And the chips that run them are only getting more efficient as time goes on.